Bottom Line: We reviewd the PC Power and Cooling Turbo-Cool 510 Express, we expected something good and found we were able to load up every rail to full specified amperage for a total of 642W! But is it worth the price tag? Unless you've been living underneath a Univac, you are aware of who PC Power and Cooling are. One could say that PC Power and Cooling is the benchmark by which all other power supplies are compared, but are unable to surpass. 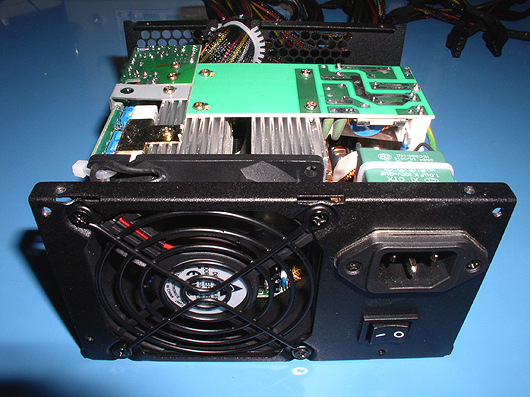 PC Power and Cooling brag that no other power supply has more components inside. Is that a good or a bad thing? Bad if you like a quiet power supply!